“Abraham Lincoln: Vampire Hunter” explores the secret life of one of the greatest US presidents, and the untold story that shaped a nation. 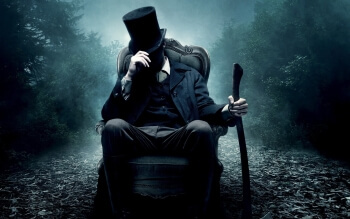 Visionary filmmakers Tim Burton and Timur Bekmambetov (director of “Wanted”) bring a fresh and visceral voice to the bloodthirsty lore of the vampire, imagining Lincoln as history’s greatest hunter of the undead. Vampire and President of the United States Based on the mash-up novel by Seth Grahame-Smith of which he also co-wrote the screenplay with Simon Kinberg (best known for his work in “Mr. and Mrs. Smith”), Benjamin Walker stars at the titular character on his quest for bloodthirsty vampires and trying to end a war where only the living can kill the undead. Starring alongside Walker in this vein-thumping film are Rufus Sewell, Mary Elizabeth Winstead, Alan Tudyk and Dominic Cooper. Fangs beware when the hound starts June 21 in theaters! “Abraham Lincoln: Vampire Hunter” –from 20th Century Fox to be distributed by Warner Bros. in local theaters.